Some of the village mayors have updated their villages today! Polaria is busy with the Snow Festival so Tigereye Peak hasn't added anything new. Why don't you ask your friends in other villages what kinds of updates their villages have gotten? 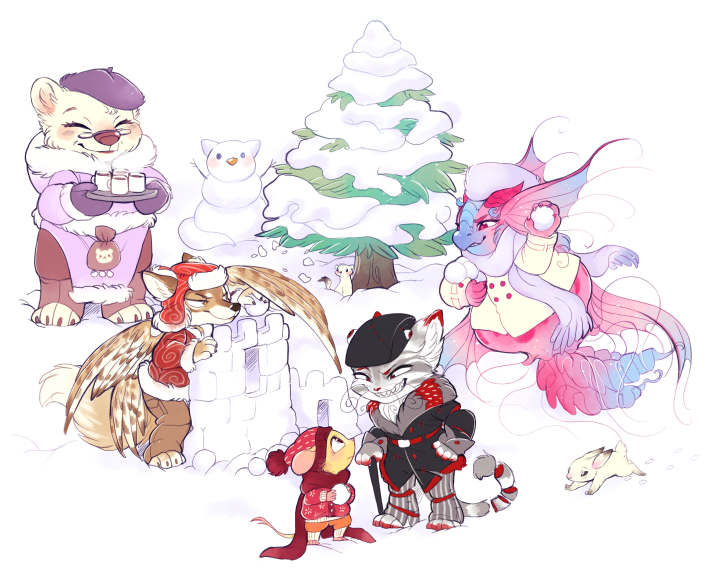 The mayors are enjoying the Snow Festival, so hopefully the rest of you are too! aww look at ana having a snowball fight!!! So cute!! Who is that hiding behind the snow castle? So cute, I love the little winter ferret in the background!